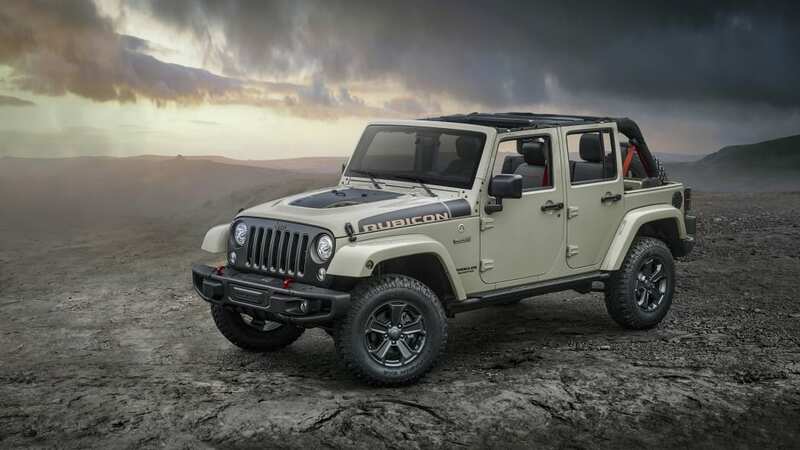 The Wrangler Rubicon Hard Rock is dead. Don't worry; the 2017 Rubicon Recon is heading to showrooms soon to take its place, and judging by what it's packing you'll hardly miss the Hard Rock. Essentially, this is a Rubicon with some beefed-up bits underneath and a few special cosmetic tweaks, a bit like the outgoing Hard Rock. 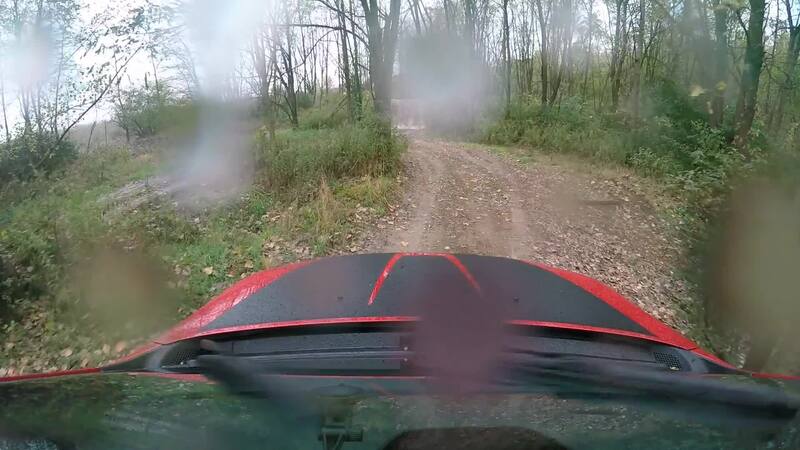 Up front, there's a stronger Dana 44 with strengthened tubes and heavy-duty end forgings. Likewise, the front and rear differentials get stronger cast covers than the Hard Rock's stamped ones. The ratios are the same, with 4.10:1 front and rear ratios, Tru-Lok locking diffs, and a Rock-Trac transfer case. There's also a half-inch lift. Cosmetically, there are new 17-inch wheels exclusive to the Recon equipped with 32-inch BF Goodrich KM tires, and the rock rails have been reshaped to allow owners to fit 35-inch tires without interference. 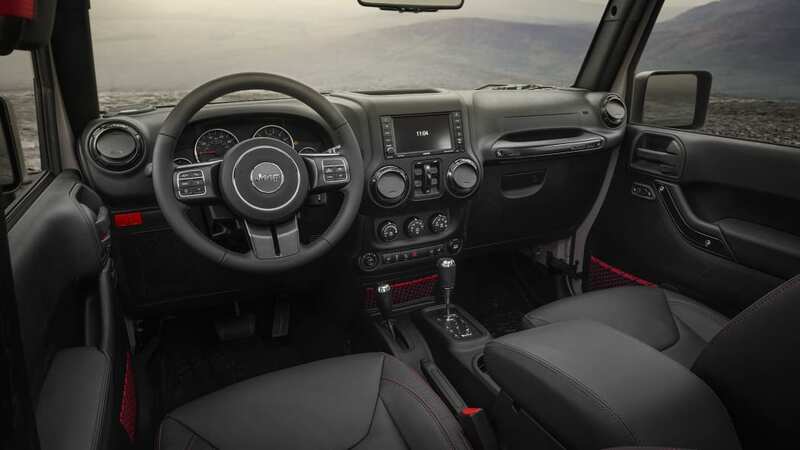 The Recon also adds red seatbelts and stitching, something you haven't been able to get in a Wrangler before, a Jeep rep told us. 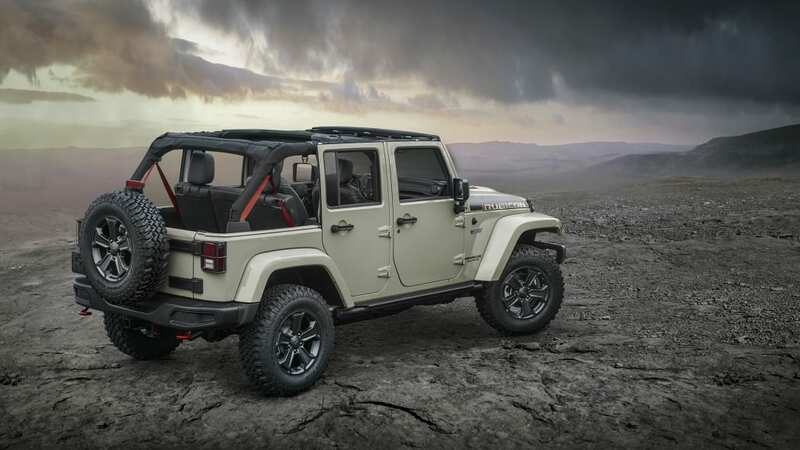 If that's what you were waiting for to get into a Wrangler Rubicon, well, there you go. There's also the special-edition farkles you'd expect: a dashboard plaque the fender badge, and a unique gauge cluster treatment. 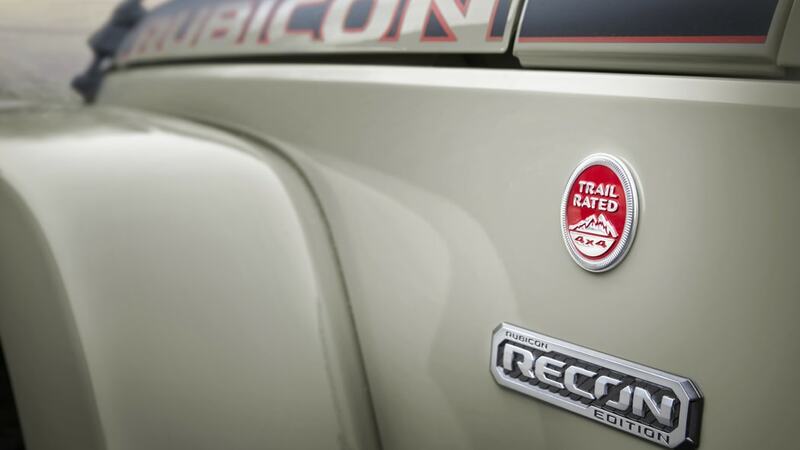 The two-door Recon will start at $40,140 and the four door at $43,940 – that's compared to the base Rubicon, which starts at $34,190 in two-door form. So, the Recon represents a nearly $6,000 premium over the base Rubicon and a $1,150 premium over the outgoing Hard Rock. It'll be available in dealers at the end of this month.